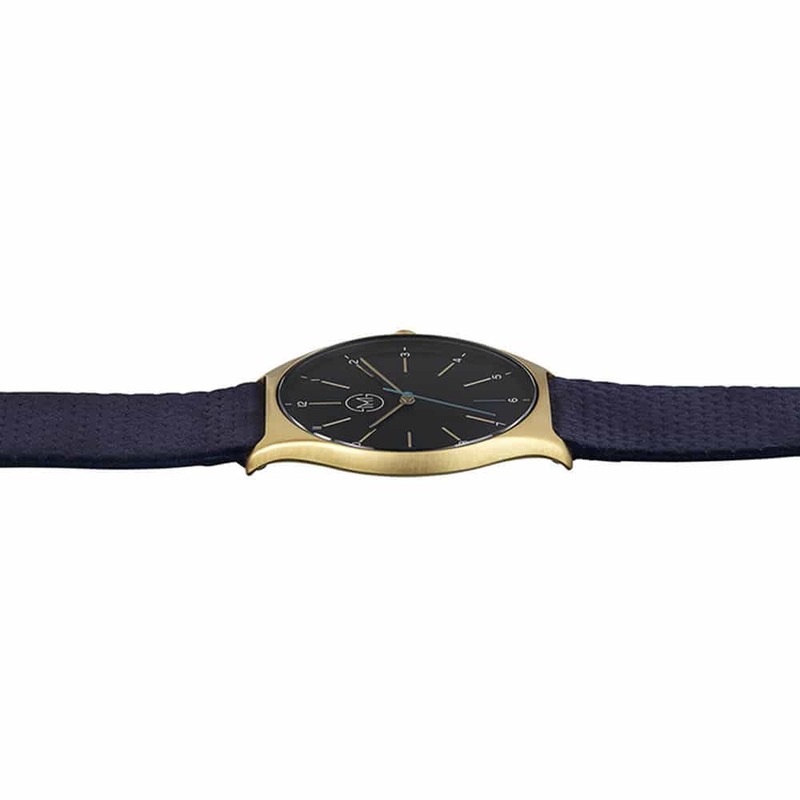 The most daring style in our collection. 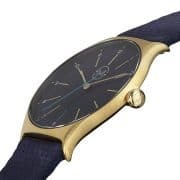 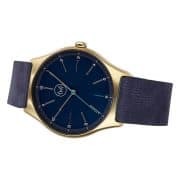 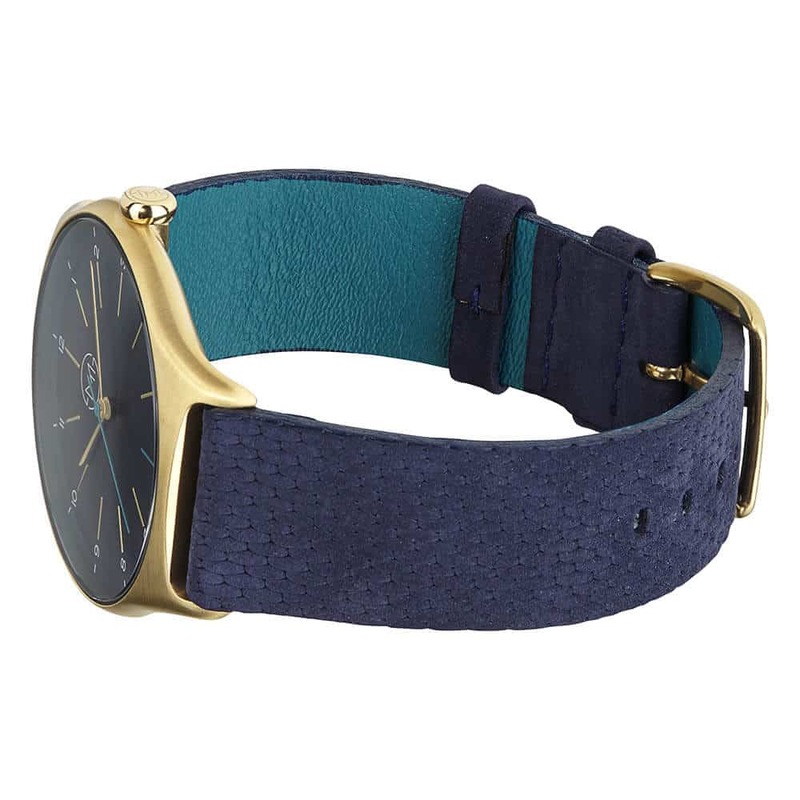 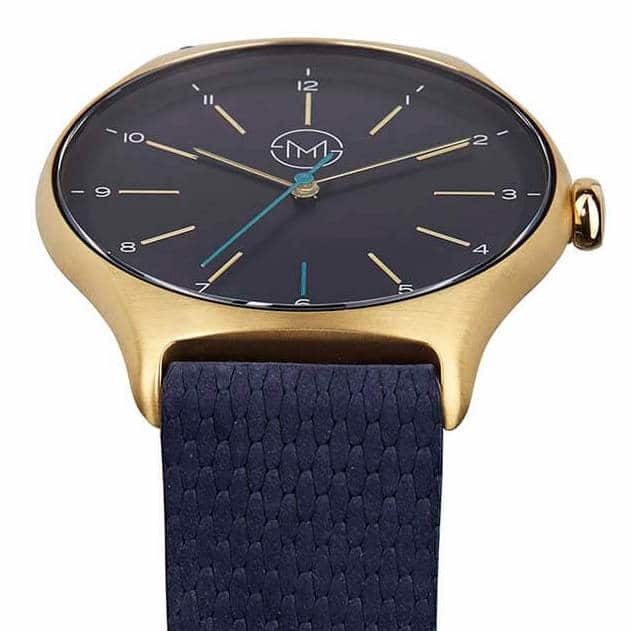 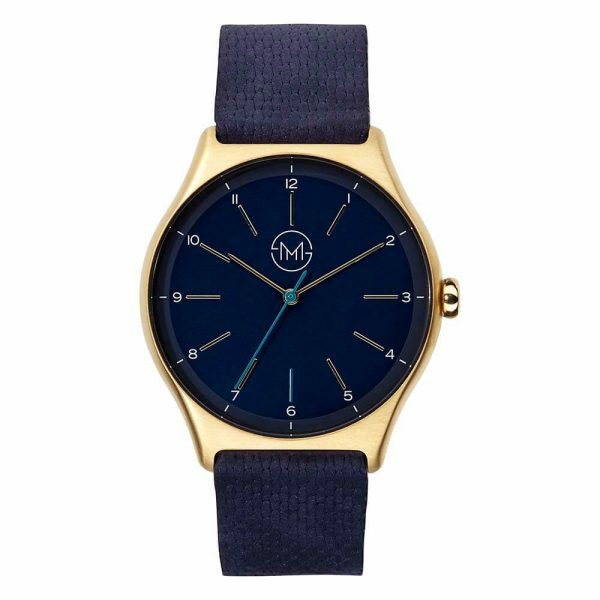 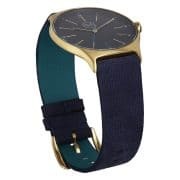 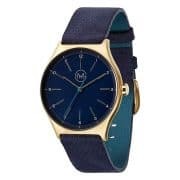 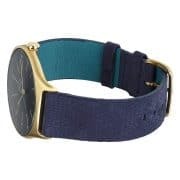 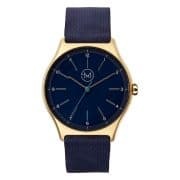 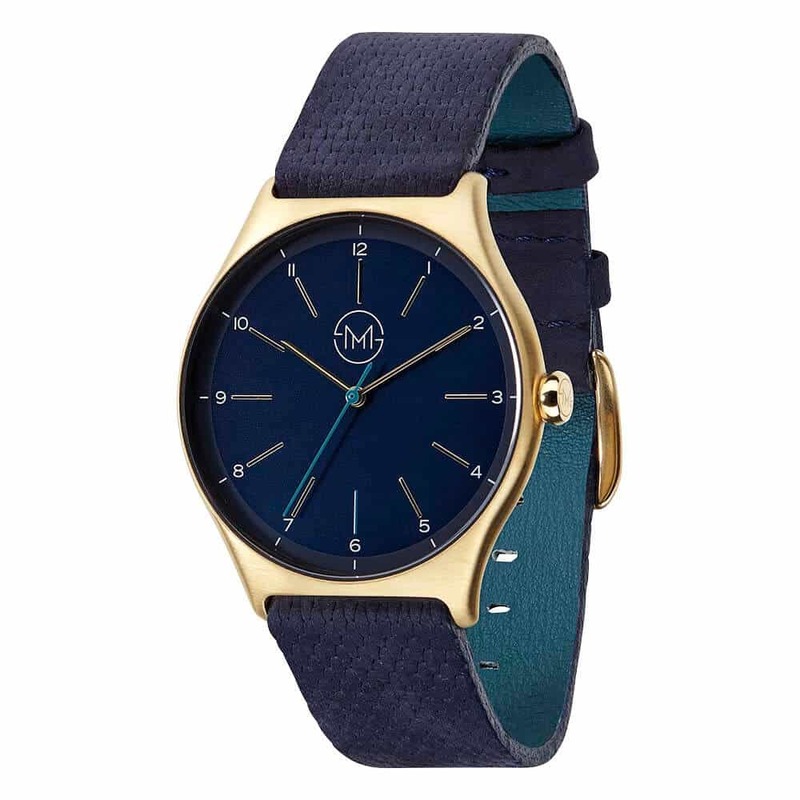 This slim wristwatch combining a blue leather strap and dial with a gold case is just outstanding. 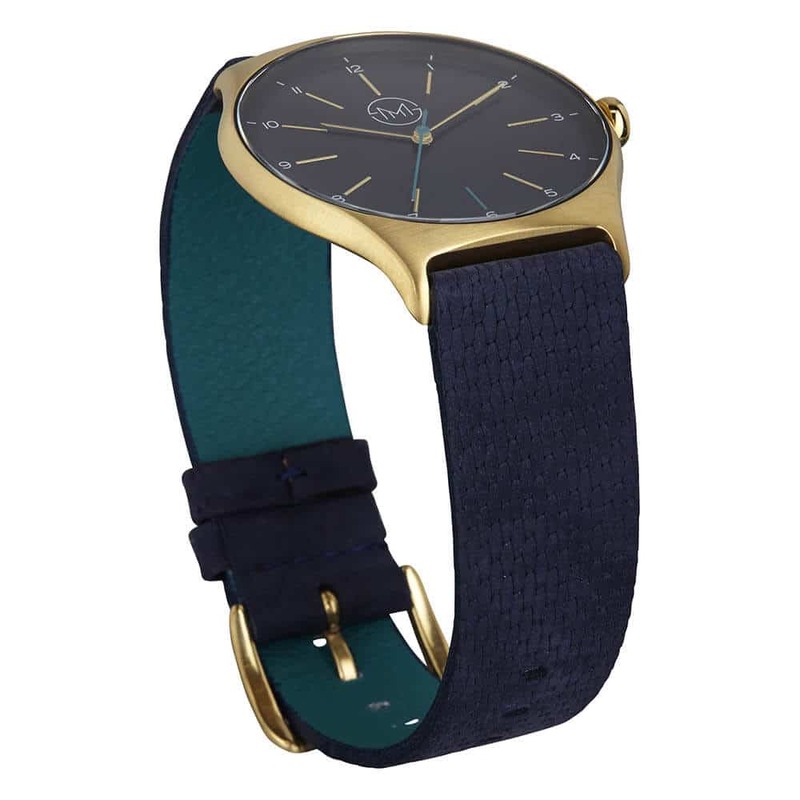 By optimizing every component and production process we managed to get the case of this super slim wristwatch only 7 mm thin, so it will perfectly wrap around your wrist and you won’t get stuck anywhere. Even though the watch is made of durable stainless steel, it only weights 38 grams; so you will hardly feel it when you wear it. 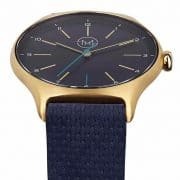 That’s exactly how a good product should be!